I recently saw Creed 2, and I loved it. I love all the Rocky movies. They are inspirational, and they make me want to wake up, bust through my obstacles, and make something of my life. There was one scene from the movie that made a big impact on me, and I’d like to unpack it a bit. (Don’t worry, I won’t share any major spoilers!) 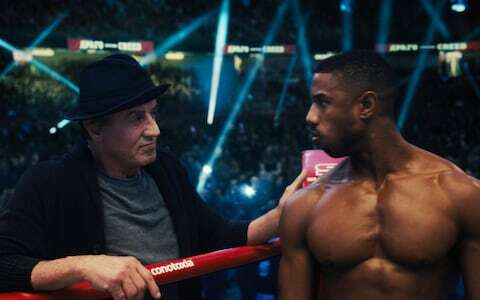 The scene happens in the middle of the film, and Adonis Creed is feeling down. He is coming off a major defeat where he got embarrassed and injured in the ring. He’s been doing physical therapy to get well, and the boxing association is pressuring him to schedule another fight. But he can’t will himself to start training again. He has lost his heart to fight. In life, you have to know your “why.” Life is difficult, and full of ups and downs. Whatever your goal is, there will be pain, struggle, and heartache. You will fail. You will hurt those closest to you, and they will hurt you. If you’re “lucky,” you will grow old and frail, and your body will fail you. Your closest friends and family members will die. Eventually, you will too. What is your “why”? For some people, their purpose in life has to do with their religious faith. For others, it’s a commitment to a set of values, such as treating everyone with respect and fairness. For others, their “why” is focused on family, work achievements, or making money. It doesn’t matter what your “why” is, as long as you have one and are clear about it. If you don’t have a clear “why,” you will struggle with motivation. You will have difficulty solving your big problems and working toward your goals. You will struggle when difficulty and hardship come your way (and they will). To help figure out your “why,” spend some time reflecting on what is most important to you in life. What do you want your life to be about? When you die, what do you hope is written on your tombstone? What do you want to be said about you at your funeral? What legacy do you hope to leave for your children and the next generations? Sometimes it takes time to get clear on your “why.” But keep at it. For Creed, he needed to prove to himself that he could stand on his own two feet, outside the shadow of his father, and be a champion. What about you?